Muscle Building Supplements for Massive Muscle Growth! Home / Nutrition / Muscle Building Supplements for Massive Muscle Growth! Every one of us has an area of our body that we’re not 100% comfortable with. Your muscle mass doesn’t need to be part of the list of things that you’re insecure about. That beach and pool time is rapidly approaching and is already here for some of us! It’s time to get serious about your workouts and hit the gym regularly. Fortunately, progress can be influenced by some remarkably important, healthy, and helpful supplements that are available for public purchase. It’s important that you’re going to retain that muscle after you’ve worked so hard to obtain it. Thankfully, there are a number of things we can take to help our bodies stay healthy, fit, and lean without reducing energy levels! Muscle Building Supplements – What are They? So, by now you’ve realized that you can add muscle mass by eating the right foods and hitting the weights at the gym. Well, muscle building supplements are unique products that will help you add that muscle mass more quickly, recover from a workout more quickly, and retain that newly added muscle mass . Since around Y2K, there has been a fascination with muscle gain. The FDA has obviously noticed and put some strict rules in place to prevent grossly over-promising products from hitting the market. The best bet is to get products that are clinically and scientifically proven to work without side effects. There has been a wild increase in scientific supplement research as body building changed from passion to movement to common lifestyle. These products can be extremely pricey if you go to a local store but you can find some slammer deals on the web that certainly won’t break the bank. WHEY PROTEIN POWDER. Whey protein powder is likely the most common supplement for body builders and gym rats. This powder is mixed in milk or water and drank before, or after your workouts depending on what you’re trying to achieve. Whey is a milk protein that’s rich with amino acids. Whey will help you destroy the fat cells and the protein will enhance the muscles gain. While your muscles are heated and vulnerable after a workout, that’s the best time to drink up your Whey protein powder mixture. It will ensure muscle growth continues . Most people have heard of this bad boy, especially over the past 15 years. Creatine is almost as ubiquitous as whey-protein powder at this point. Made with three amino acids, arginine, glycine, and methionine, creatine will increase the amount of energy needed for your body to have the intense weight lifting workouts you need to build that muscle. Obviously, the more energy your muscles have, the more weight and/or reps you can complete. Creatine is key for stimulating muscle growth in our bodies. BETA-ALANINE. This little bugger is to go hand in hand with creatine. Beta-alanine supplements will boost this particular amino acid that naturally combines with your body’s already high levels of histidine to form carnosine. Carosine literally makes your muscle cells stronger and gives them the ability to contract at a greater force than the norm. If beta-alanine is used in combination with creatine, you will gain even more muscle mass and lose more body fat than if you were to only supplement your workouts with creatine. NITRIC OXIDE BOOSTERS. One of the lesser known and more effective body-building supplements. These boosters don’t actually provide nitric oxide. Instead, they provide your body with high levels of arginine, which the body will then convert to nitric oxide. In turn, your blood vessels will dilate, grow, and increase the blood flow to your muscles. Obviously a good thing when you need all the nutrients, oxygen, and h20 your muscles can take during and after workouts! Similar to nitric oxide boosters, carnitine will increase the blood flow to your muscles. It also increases the testosterone levels in your body after a rigorous workout, thus stimulating even more growth. Carnitine is commonly taken as a fat-burning supplement, so if you’re already really thin, this might not be for you. If you’re looking to burn off some fat AND gain muscle, carnitine is a must! HIGH MOLECULAR WEIGHT CARBS. HMC’s are super molecules. These guys are all natural and made from corn starch. After going through your digestive system at a shockingly fast rate, HMC’s will be absorbed into your blood stream. These refilling carbs will prevent muscle breakdown and replenish your energy levels. There are a number of things that you really need to consider before you set out on a quest to purchase supplements that will enhance your workout and muscle growth. It’s important to understand what sort of cost you’re willing to incur and how these supplements may or may not react to medications that you’re currently taking. In most cases, there will be no side effects but to be sure, it’s best to consult with your primary physician and let them know what you’re considering to help you get to your goal physique. Assuming you’ve done your research and you know what you’re looking to get out of your supplements, workouts, and diet, it’s time to buy. Do not be afraid to shop around. Supplementing can get pretty pricey, especially if you’re going to try to shop local. We definitely recommend browsing our selection of muscle building supplements online. You will be able to find what you need and simultaneously read reviews from people as well as tips and tricks for taking a desired supplement. The happiest customers are the ones that bought the right product, most times. Don’t be shy about looking for sales and coupon codes. Most of what you’re going to buy comes in a package that will last you for full workout cycles. Sometimes you’ll be purchasing products that will last you for 60 or 90 days. There is no reason to spend more than you need to. Coupon codes are generated and posted for public use on websites to promote sales at special times of the year or for over-stocked products. They’re there. Use them. Before purchasing anything that you’re about to put in your body, it’s a good idea to do some research on how the supplements are made. Be sure to note if some ingredients used are known to cause allergic reactions and understand the warning signs of having such a reaction. Most of the time, there is little cause for concern but you can never be too sure. When you purchase online, warning notices are typically posted for the more common undesirable reactions to be on the lookout for. 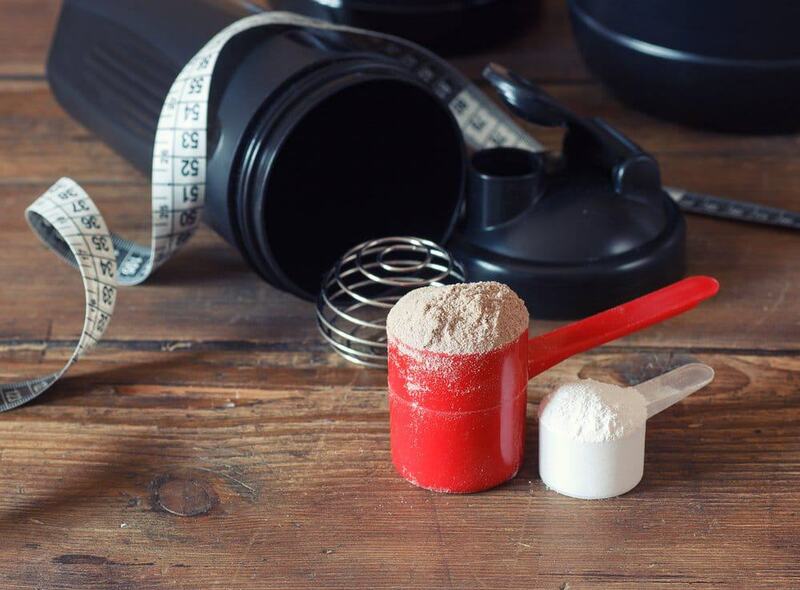 Whey-Protein Powder should be taken both before and after a workout for best results. It’s difficult to have “too much” protein. Enjoy a small whey-protein drink about an hour before your workout. 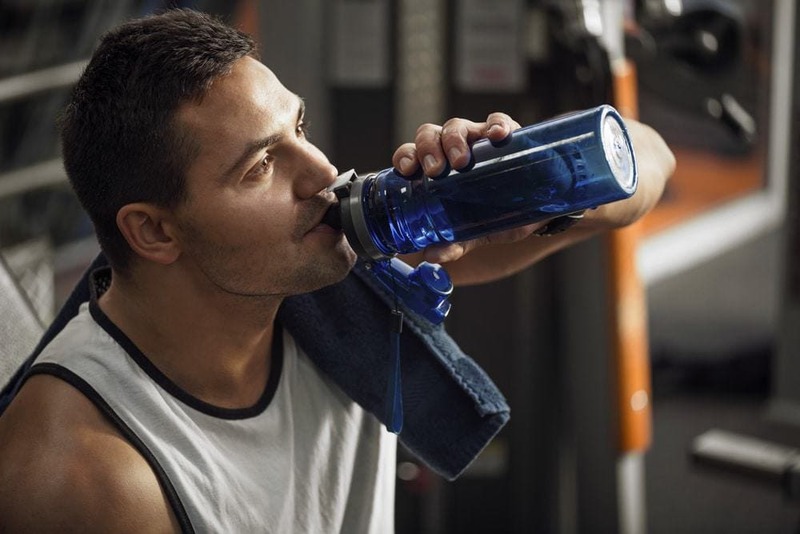 Once you’re done in the gym, drink a larger amount. Roughly double the size. Always use 8 ounces of liquid, just alter the amount of powder you mix in. The post-workout drink should be considerably stronger. Creatine is definitely not to be ignored or forgotten. You can mix a few grams of creatine in with your protein drinks that you’re already going to be enjoying before and after workouts. Instead of increasing the amount used after the workout though, keep it the same. Use 3 or 4 grams in each drink. If you want the absolute best results, the creatine should be taken immediately before and after a workout with some water. Your muscles will love it! Remember, Beta-Alanine goes hand in hand with creatine. Take them both at the same time right before your workout and immediately after you’re finished. These will work together to give your muscles a serious boost. Two grams of Beta-Alanine each time will be more than enough. You should take just a single gram of carnitine with all meals and your protein shakes. One gram is plenty, you don’t want it to have the opposite effect. It’s a very strong supplement that will definitely assist in fat burn but will also help you build muscle. Too much carnitine will make your body burn through that fat and then start to burn through the muscle you’ve worked so hard to gain as well! Don’t forget about the High Molecular-Weight Carbs! Take somewhere between 50 grams and 100 grams of HMC’s in your protein shakes after your workouts. You definitely will need to regenerate some of the energy you’ve exerted and this is the most effective way to keep those muscles happy and that insulin level up, leading to more growth! Alter the amount you’re consuming based on your body type and how sore/tired your workouts are making you. As you know, using supplements can be costly so you should get the most that you can for your money. A common supplement practice is called stacking. We have sort of already covered stacking above and you may not have known it. For muscle builders, stacking supplements wisely will definitely get you the most bang for buck and help you meet your fitness goals. “Stacking” is a term used to describe taking multiple supplements at a given time. These supplements often work better together because they can overlap and enhance each other’s affects. That’s good news for you and your muscles! Stacking supplements together isn’t the only type of stacking that’s recommended and practiced. Stack your diet plan along with your supplements. If you’re looking to gain muscle mass, make sure you eat foods that are extremely high in protein and complex carbs to further boost the effects of those supplements you’ve invested in. If you’re looking to get lean and cut, avoid the complex carbs and think lean = green. Enjoy well rounded salads and lower your calorie count without starving yourself. Stacking your supplements with a specific diet type is often the most effective way to get the results you’re looking for from your purchased supplements . Cycles are obviously different than stacking. The idea behind cycling is that you will rotate what types of supplements you’re taking and what type of foods you’re eating throughout time, based on what you’re doing. For instance, you may spend 6 weeks increasing the amount of protein and carbs you’re taking in through supplements and food to bulk up. When it comes time to lose the inevitable fat you’ve gained along with the muscle, you’re going to move toward lean stacking. The idea is that once you’ve bulked up and then slimmed back down, you’ll have more muscle mass and less fat each time, resulting in that perfect beach-ready body you’ve been striving for. Cycling in combination with stacking and strict exercise is a sure-fire formula for unprecedented success. Be Safe – Don’t Go Crazy! Thousands of people are hospitalized annually while trying to sculpt their bodies into beautiful works of art. In nearly all of these cases, it’s because people focus on the wrong things and aren’t thinking about what is truly best for their body. Nearly all workout related accidents are 100% preventable. You need to stay hydrated, keep your body nourished, and pay attention to the warning labels that are on packaging for supplements you’re putting in to your body. Don’t use more than any recommended amount and be sure that you’ve consulted with your doctor about any medications that you’re currently taking and the effects that supplements may have when combined with your medications. Practice responsibly and remember that supplements are supposed to supplement, not substitute! Now… get to work on your new and improved you with your muscle building supplements. Kreider RB1. Sports Med. 1999 Feb;27(2):97-110. Tipton KD1, Ferrando AA. Essays Biochem. 2008;44:85-98. doi: 10.1042/BSE0440085. in a month or so. Thanks for all the info. By the way, I love the supps so far!